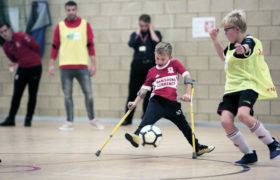 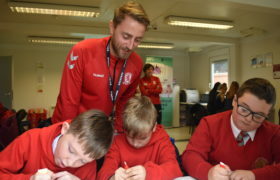 More than 120 young people from the Teesside area celebrated completing a summer of team-building and charitable work at a very special graduation event with Middlesbrough FC Foundation at Cineworld in Middlesbrough. 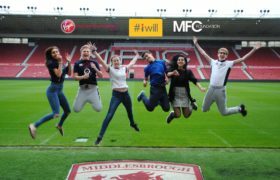 Having signed up to the National Citizen Service (NCS) programme with MFC Foundation, the teenagers flocked to the Middlesbrough multiplex cinema on Marton Road to take a look back at all of their fantastic achievements throughout the six weeks of summer. 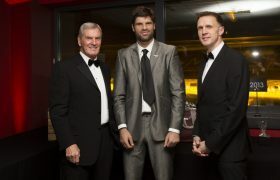 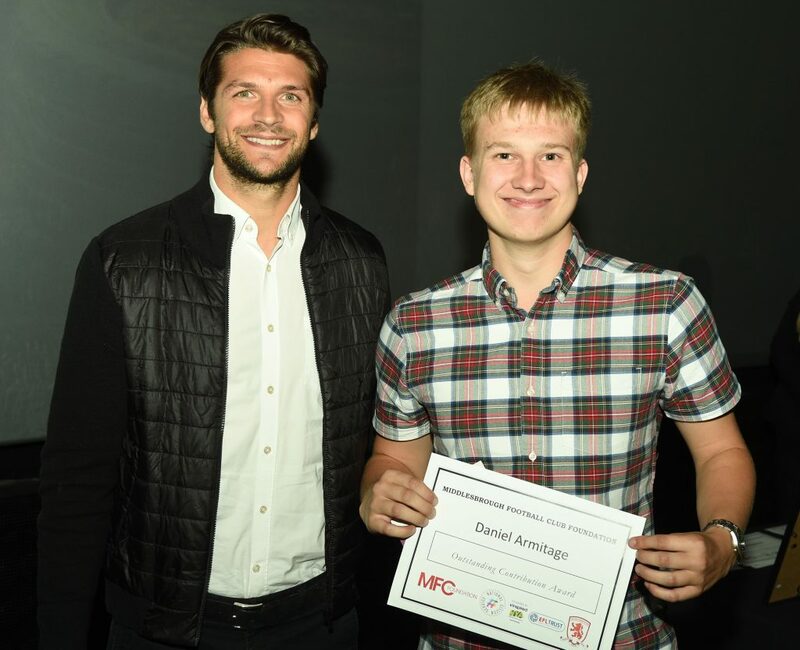 Special guest, Middlesbrough FC defender and NCS Ambassador George Friend was there to congratulate the young people, as well as handing out achievements awards to the few who had gone above and beyond what was asked of them on the programme. 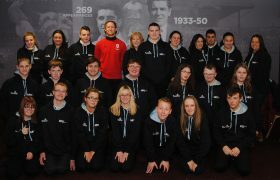 The young people, aged 15-17 years old, spent two weeks living away from home while on programme, which included one week on an away residential doing activities such as kayaking, gorge scrambling and mountaineering. 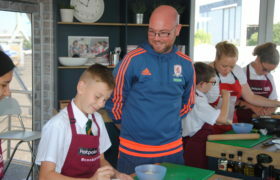 The second week involved living in Teesside University halls, experiencing independent living, taking part in workshops on money management, and finding out more about some of Teesside’s community-orientated organisations such as Hillcare Care Homes and Teesside Nautical Centre. 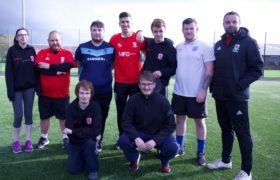 For the final two weeks of the programme, the young people chose a local charity to raise awareness and vital funds for through a variety of different means. 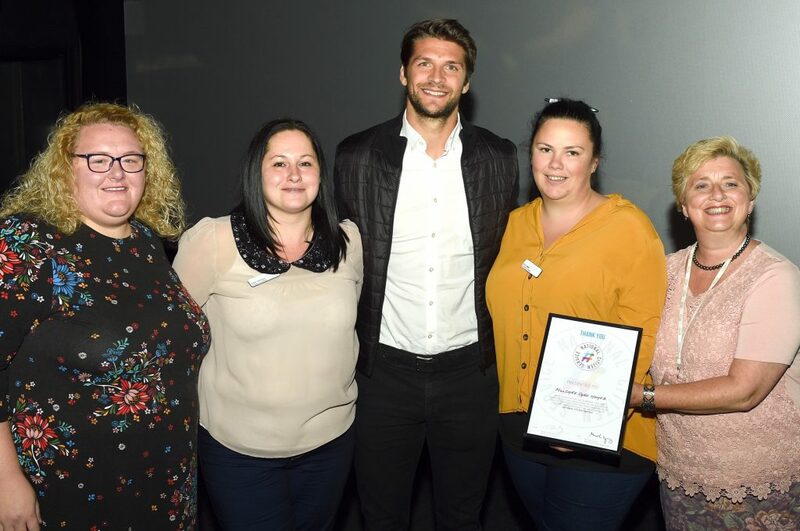 Team 2 from our first wave, called ‘Forget the Knife’, were inspired by a talk delivered by Chris Cave Foundation founder, Theresa Cave, which supports and educates families and local communities affected by violent crimes. 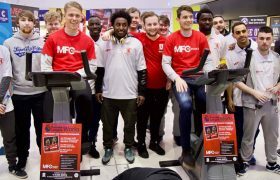 The group produced a promotional awareness video about the dangers of knife crime, as well as completing a number of different fundraising activities to help towards the charities’ goals of producing a nationwide campaign. 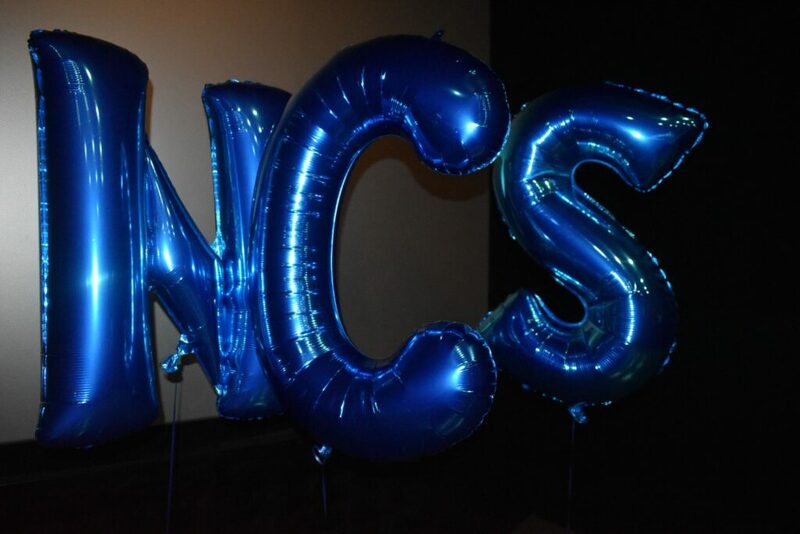 Team 3 from our second wave, ‘NCS Making Changes’, chose children’s charity Barnardo’s as the focal point of their social action campaign, with a couple of the group having personal connections to the organisation. 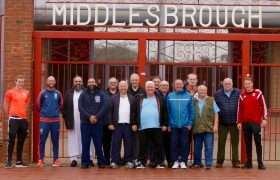 From car washes to raffles, and even a sponsored walk from Barnardo’s office in Middlesbrough to the one in Redcar, they raised a stunning £700 to help with the redevelopment off the centres. 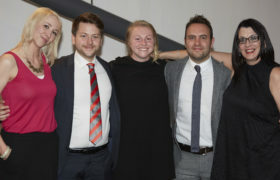 Finally, Team 2 from wave teams from our third wave of students chose James Cook Hospital’s Paediatric ward, due to personal connections. 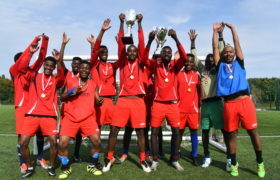 The team raised funds through a number of fundraising events, and utilised the proceeds to purchase toys for the ward, with the idea to minimise stress for young people having to reside in hospital. 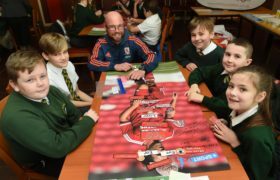 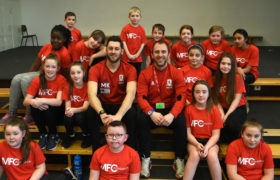 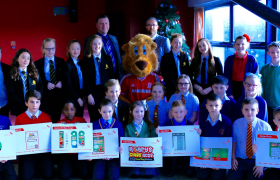 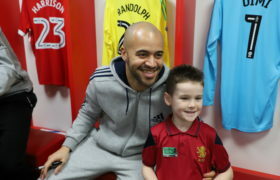 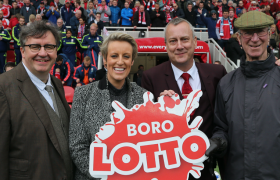 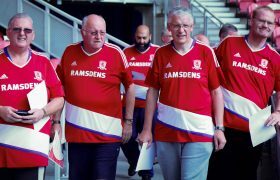 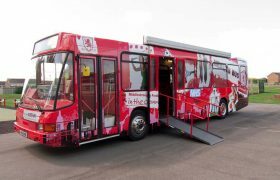 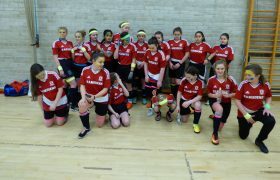 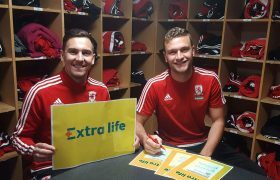 The group braved a night in the cold concourse of the Riverside Stadium with a sponsored sleepout, and a charity bag pack and B&M store in Middlesbrough. 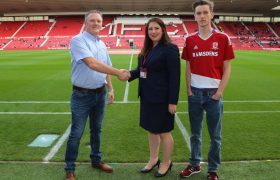 Other charities fundraised for were: Middlesbrough Homeless Café, James Cook Antenatal ward, My Sisters Place, Shelter and Community Campus 87. 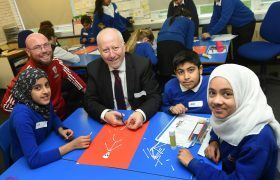 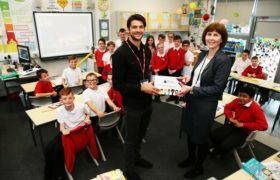 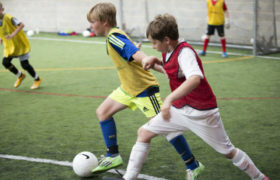 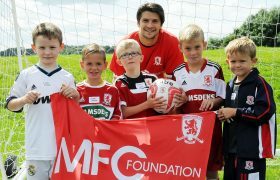 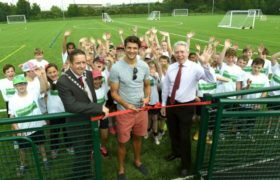 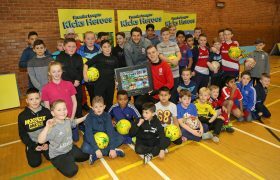 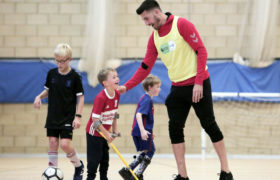 George Friend said: “The young people have excelled themselves again and made a wonderful impression on their local community. 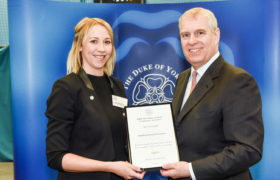 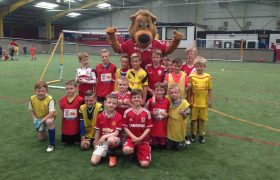 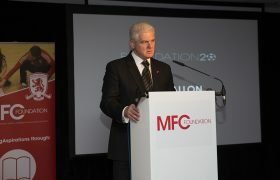 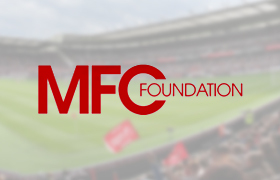 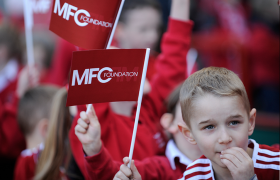 “I’ve been a supporter of MFC Foundation’s NCS project for a number of years now, and I’ve seen first-hand the positive impact it has had on the teenagers involved. 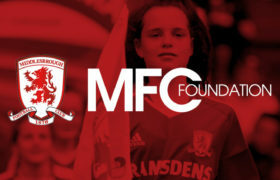 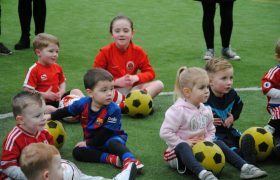 Kelly Daley, MFC Foundation’s NCS Coordinator added: “From the moment we first met all of the boys and girls on the programme at our very first ‘Keep Warm’ event in February, I have seen each and every one of them grow as people. 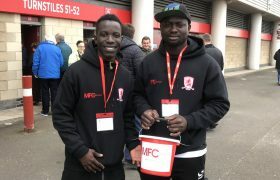 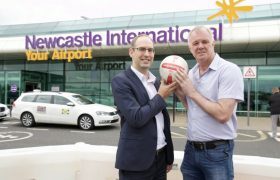 “We are all incredibly proud of their fundraising efforts, and I know that the organisations involved greatly appreciated their time and efforts.